I was expecting there to be some kind of implicit confirmation of their relationship when Zedd's video for "I Want You To Know" featuring Selena Gomez dropped today. After all, they've been rumored to be dating for months now, and when a musical couple like them is ready for the whole wide world to know they're together, being featured on each other's songs is a pretty typical way to go about it. I was expecting to see a stolen kiss or a moment of emotionally-significant eye contact that would make me throw my hands up in the air and say "Aha! I knew it! You two are romance friends!" But I never did get my aha moment, because not only did this video not give me any insight into the phenomenon that is Zeddlena, but the two of them barely even appeared together. The entire video is pretty much Gomez gyrating on the dance floor, and while she's surrounded by people doing the same, none of them are Zedd. Throughout the whole four-minute video, we see him maybe a dozen times, always in quick shots that are divorced from the action, where we see him through a kaleidoscope or a prism, with his face obscured by color and light. ...It's enough to make a gal think he might be a ghost. WAIT WAIT HEAR ME OUT. What if this video was intended not as a coming-out party for Zedd and Gomez as a couple, but for Zedd as a poltergeist? Maybe that's the real secret that he wants us to know in "I Want You To Know", and these screenshots are living proof. Just your average lurking specter. Neat neat, he's shattering into a million pieces of ectoplasm. Yo Selena, I can see through your boyfriend. That's the look of a spirit with unfinished business, amirite? She knows! Look at her eyes! UM UM UM don't look now, but he's inside the house. Or the club. Regardless, he is in here and you in danger girl. I don't always go to the club, but when I do, I lurk in the background like a complete creeper with no corporeal form. Oh we're too late. They've already started to meld. Literally looking right through this dude right now. 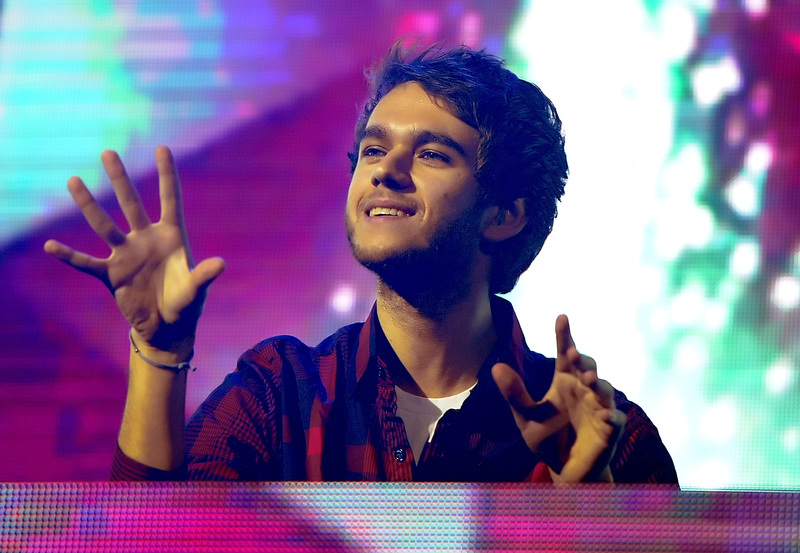 Secret's out, Zedd. You'll never work as an alive human in this town again.